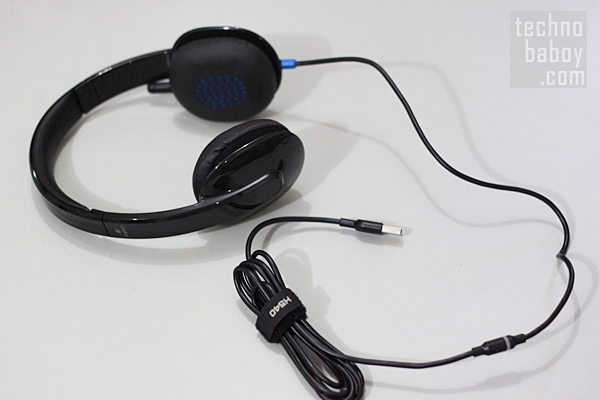 The Logitech H540 is a USB headset that can be used to listen to music and make calls as well. It’s perfect for PC use when you need to listen to music once in a while and make voice or video calls through applications like Skype or what have you. The Logitech H540 is a well-designed and well-built USB headset. It is sleek and stylish, with an appeal that reminds me of a Beats headset, except that the shape of the ear cups is squarish instead of round. The Logitech H540 has a glossy, plastic finish that is a fingerprint magnet but looks actually hip and premium. 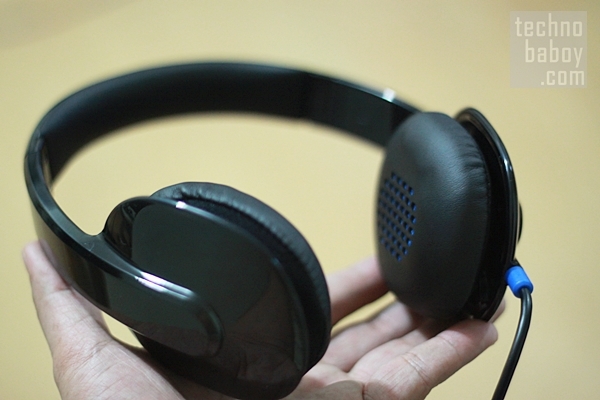 The Logitech H540 has soft padded earcups wrapped in leather and a padded headband as well. It’s therefore designed for ultimate comfort which is a necessity during extended calls or long video playbacks. It also has volume control buttons outside the right earcup. Below these volume buttons is a mute button for the mic. Speaking of mic, the Logitech H540’s mic is adjustable. It rotates and can in fact be hidden inside the earcup. When it’s hidden, therefore, the Logitech H540 looks like any set of headphones. The Logitech H540 USB headset has laser-tuned drivers and a built-in equalizer that’s meant to minimize distortion. The adjustable microphone is also designed to reduce background noise for clear calls. The Logitech H540 USB Headset is a plug-and-play device so using it requires the simple act of plugging it into the USB port of your computer. To test the Logitech H540, I first played audio tracks on iTunes and what I heard actually surprised me. I thought the Logitech H540 USB is a mic first and foremost but hearing tracks through this headset is actually a pleasant experience. The Logitech H540 handled audio tracks rather well, delivering bright and crisp mids and highs and actually pumping detailed and warm lows. I was impressed with the bass response of the Logitech H540 and loved how it sounded on bass-heavy tracks like Daft Punk’s Get Lucky and rock songs like Franco’s The Gathering. Trying the Logitech H540 on Skype got me decent results. Calls came in clear and I was heard clearly by the person on the other line. The noise cancelling feature seems to have an effect on the calls as noise were reduced considerably. 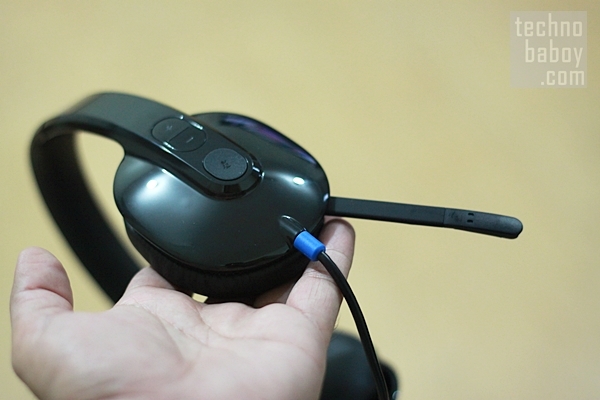 The Logitech H540 USB headset is a nice-looking headset that works as advertised. It sounds good on audio tracks and works well on placing and receiving calls. There are other products like this on the market but you can never go wrong with the Logitech H540. where can I buy this? any idea? thanks! Where can you buy this brand of headset? Yay i love how it looks! Great review! Thanks for the info!